From 1974 to 2001, over seven hundred Satsangs Swami Amar Jyoti were recorded in the USA and New Zealand. Edited versions of these deeply inspiring teachings have been published for nearly three decades in Light of Consciousness—Journal of Spiritual Awakening. 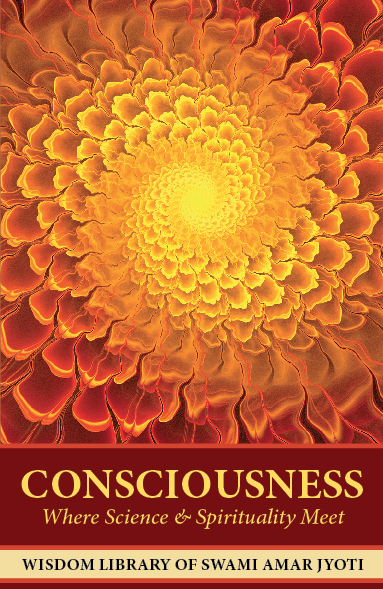 In response to repeated requests that the Satsangs be presented in book form, we are privileged to launch the Wisdom Library of Swami Amar Jyoti, beginning with Volume 1: Consciousness: Where Science and Spirituality Meet. When you will, one-hundred-percent, to know the secret of your own life, you shall arrive at the highest discovery: the Light, the Divine within you. The sages, Enlightened Beings and Prophets are telling us that this is possible for everyone. They show the way because potentially everyone is Divine; everyone is Light. We are made of that Consciousness. Swami Amar Jyoti was one of the most insightful, gentle and inspiring teachers that I was fortunate to meet. His book Consciousness: Where Science and Spirituality Meet is one of the best explanations available of the secrets of universal awareness. It makes easily accessible to the modern reader the profound system of Vedanta and its transformative path of Self-knowledge. The book will be of great help to Yoga practitioners, meditators and spiritual aspirants everywhere. We look forward to additional titles in the series of Swamiji’s books. With radiant clarity and vast heart, Swami Amar Jyoti translates thousands of years of Vedanta into vibrant and accessible teachings for all who walk a path of awakening: We are that which we seek, he reminds us. Turn within, and rejoice in the encounter. Americans have been blessed by the presence of many emissaries of India’s spiritual treasures. Some are well known; others worked quietly with followers. 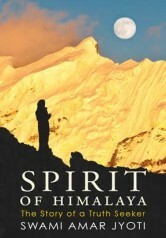 Swami Amar Jyoti is one of the latter, which makes the publication of this collection a most welcome event. It is an important addition to the ongoing transmission of Vedic wisdom to this part of the globe. In this beautiful book the ancient wisdom of yoga is retold in the language of today, bringing together Science, Spirituality and Consciousness. Here are stepping stones to take us out of the limited world of ego consciousness into the light of our divine consciousness, and the joy and ecstasy that belong to this light. Swami Amar Jyoti shows us how to be in tune with the real rhythm of creation, with the dance of oneness and the light that is within and all around us. Attuned with what is real, we are no longer imprisoned in illusion. We can realize what we are—that It is all Light. For readers in search of enlightening, healing words, here is an invitation for a journey into our consciousness. Swami Amar Jyoti articulates the ancient Indian wisdom and its didactic symbols in today’s language. This remarkable volume brings the teachings of the East, especially Vedanta, into our age and life. Another beautiful feature of the book is the vast openness in which the concepts are discussed; the reader feels a spirit of peace and compassion on the pages. The words he offers are like echoes of a hugeness, a vastness… He is you and me together as One. To have access to a Wisdom Library of his work, right at your fingertips, is a rare gift. For that, all of us can be grateful.